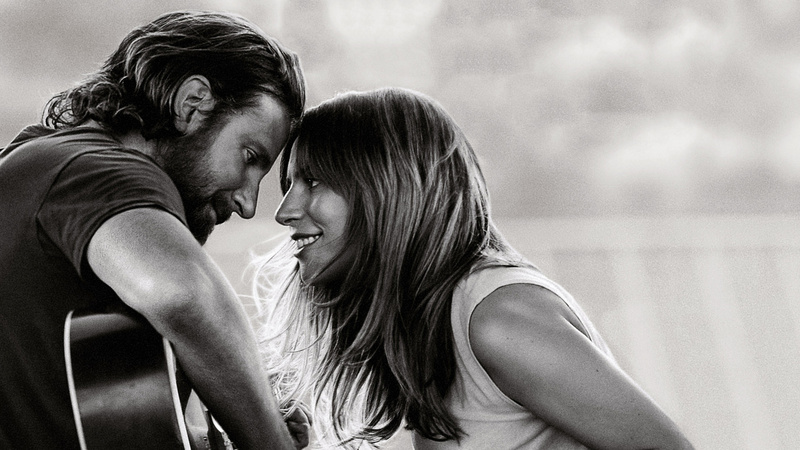 A Star is Born Review: A film that connects with you on a deep level – AiPT! Bradley Cooper’s ‘A Star is Born’ is a journey everyone needs to go on. Have you ever been in a theater where everyone is completely silent when the credits roll? Where you could hear a pen drop? If you haven’t already, then you will if you choose to go see A Star is Born. I love it when everyone is silent in a theater, that means that you just saw something deeply moving, something that must’ve touched you on some level. Touching and connecting with the audience emotionally is exactly what this film is in the business of doing, at least most of the time. So what is the story here? Well, this is actually a remake of an old Barbra Streisand/Kris Kristofferson film of the same name. The story surrounds a male musician who stumbles into a bar one night and sees this performance by an unknown girl, a performance that captivates him and prompts him to ask her out for a drink. They end up becoming close and he helps to introduce her incredible singing talent to the public. I think the best word to describe this film in its entirety is: journey. The viewer is taken on a very captivating journey with these characters, and it’s by no means a fairytale. The film makes sure to show us their imperfections and flaws, to make it real. I love that this isn’t just some Cinderella story, a boy meets girl tale or a girl finds fame/happily ever after tale. No, instead, this a very well told tale of two artists who love each other a great amount, and yes find fame and glory, but still face many hardships along the way. The writing is so magnificent, it gives us elaborate dialogue that tells us so much about the relationship between these individuals, and the relationship between Sam Elliot’s character and Bradley Cooper’s. The performances given by the cast members are great too. Bradley Cooper, in particular, reminds everyone why he’s one of the best. Lady GaGa also really impressed me, I had seen her acting in American Horror Story and thought it was good, but she cements herself as a great actress with this role. Cooper and GaGa have electric chemistry too and you can connect with and feel the love they have for one another. I also want to applaud Sam Elliot, who of course was already a proven great actor before this film; he furthers his reputation with his strong performance here. The soundtrack is great, which of course is no surprise given the talent that’s involved here. GaGa blows away every single song she performs, both with the actual singing and with the emotion she displays. Cooper also does very well with the musical portion of his role, and I didn’t even know he could sing. The directing by Cooper is also very good; Cooper presents himself as a triple threat here (singing, acting, directing) and his presentation couldn’t be better, I’m very excited to see his future directing endeavors. I was also hoping for there to be a good presence of diversity here, and I was happy to see that there indeed is. We see multi-racial representation and good LGBTQ representation as well. Then the last thing I wanna cover here is the ending. The ending is so incredibly powerful, I’m not going to spoil anything, but suffice to say: you may need some tissues. The film ends with a moving final shot that will stick with you as you leave the theater. Bradley Cooper’s A Star is Born is a journey everyone needs to go on. This is a very human story about love, hardship, and achieving dreams. Very highly suggested! A Star is Born is a film that reaches you on a deep level. It does that with a well written script that's brought to life by skillful acting and great chemistry between the leads.